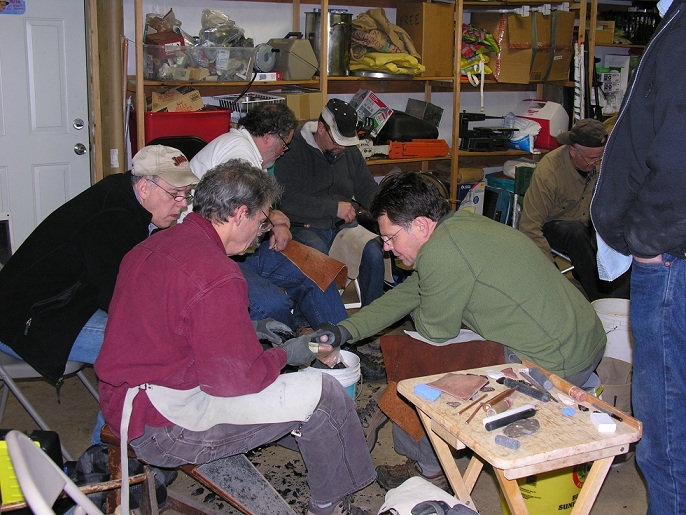 In fact what better way to start the year than sitting around wood stove in a large shop with a couple dozen friends breaking rock! Hosts Dave Pehling and his nephew Jim Dennis not only provided deluxe accommodations for this mid-winter knap-in but Jim cooked up a terrific pot of deer, elk and venison sausage chilli to ward off the cold and damp! Coming as it does in the dead of winter, this knap-in definitely helps alleviate Cabin Fever – or as it is now referred to as SDS (Sunlight Deprivation Syndrome) sometimes called SAD (Seasonal Affective Disorder). 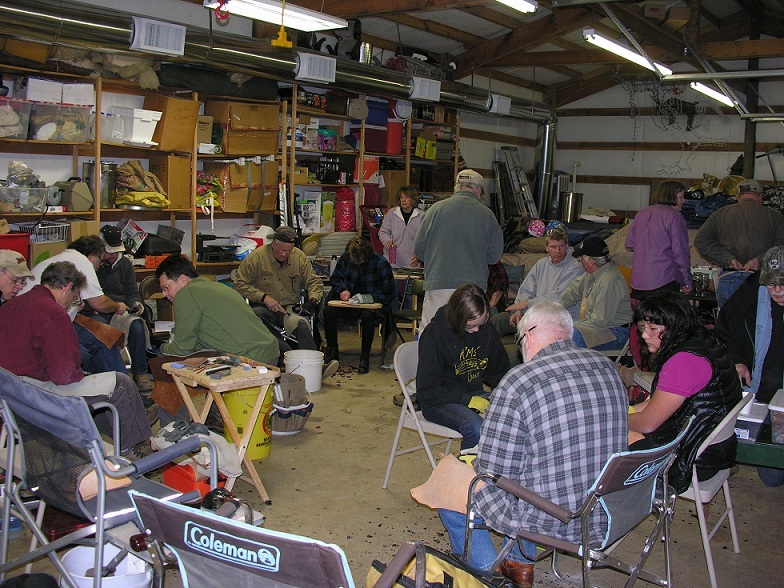 We had one of the largest turnouts ever for this years' Winter Break/Cabin fever knap-in. 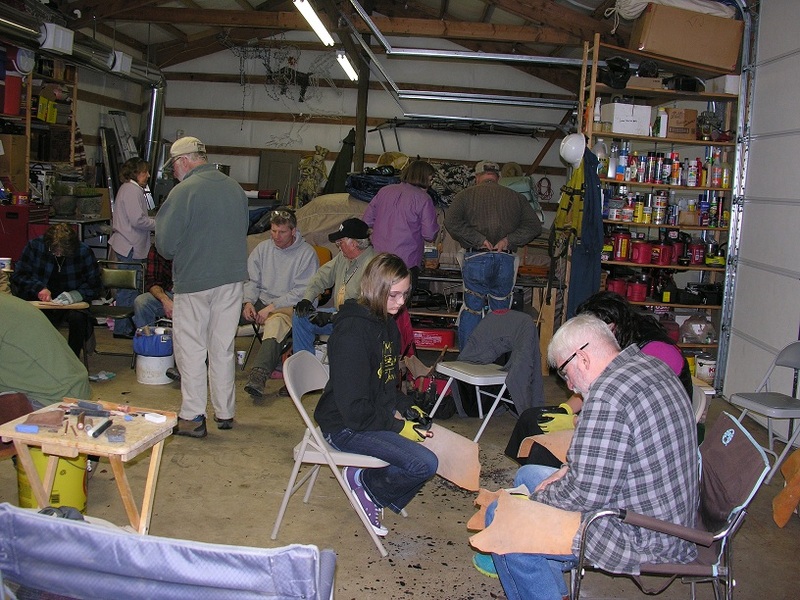 Evidently our newest members are serious about becoming flintknappers. Five of the noobies drove three hours in the rain (one way!) just to attend this one day knap-in! 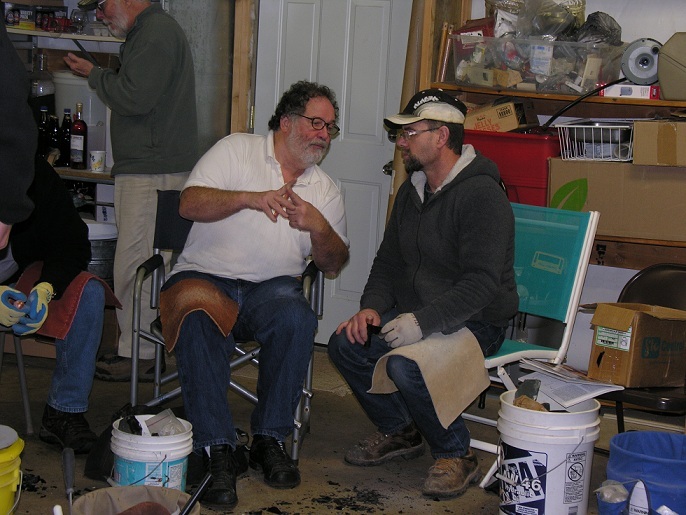 They didn't go away disappointed - they received individual instruction by several PSK members and were able watch several of our Master Knappers at work (or play)! At the end of the day we all felt 2013 will be a banner year for the PSK. Membership has passed the 380 mark and we expect attendance at oru events to continue to grow. And it true what they say - the more the merrier! 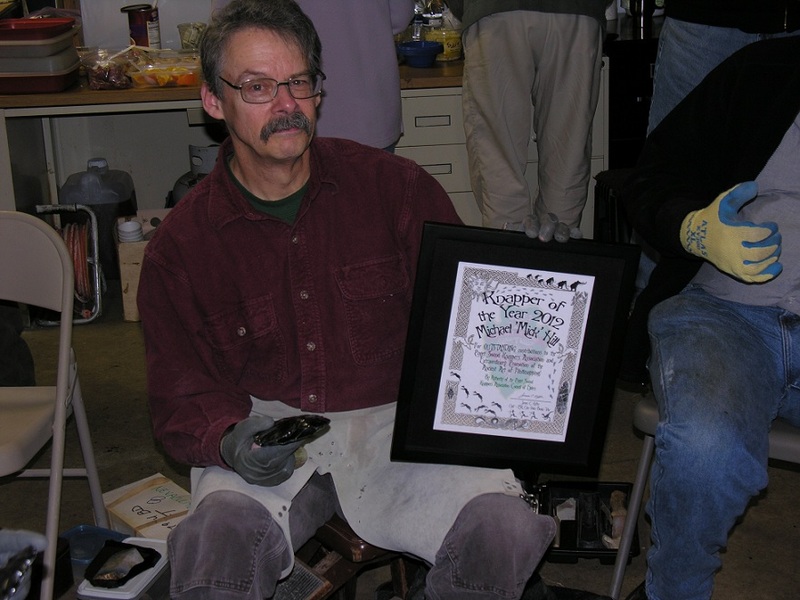 PSK Flintknapper of the Year - Mick Hill!